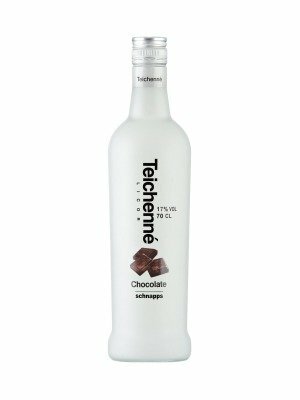 Teichenne Chocolate Flavour Schnapps is a popular Liqueurs available from DrinkSupermarket.com in 70cl to buy online. 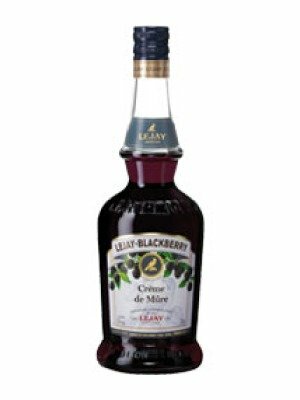 Visit DrinkSupermarket.com for the best price for 70cl of Teichenne Chocolate Flavour Schnapps or compare prices on our other Liqueurs products. The original, entirely natural flavoured schnapps, Teichenne comes from a family-owned distillery in the Catalan region of Spain. Natural ingredients and real fruit essences combine to produce a dizzying rainbow of flavours: Peach, Apple, Butterscotch, Chocolate, Vanilla, Melon, Lemon, Strawberry, Raspberry, Banana, Green Apple, Kiwi, Blackcurrant, Coffee and Coconut. The Teichenne story begins in 1956, when Juan Teichenne Senaux began handmaking liqueurs in the small town of L'Arbo. By the late 1980s Teichenne was the Spanish market leader; today it is an international brand. Teichenne peach schnapps is the discerning bartender's peach liqueur of choice. Like all schnapps in the Teichenne range, it can be enjoyed as a chilled shot, over ice or in a host of exciting cocktails. Where to buy Teichenne Chocolate Flavour Schnapps ? Teichenne Chocolate Flavour Schnapps Supermarkets & Stockists. You can buy Teichenne Chocolate Flavour Schnapps online in most retailers and find it in the Liqueurs aisle in supermarkets but we found the best deals online for Teichenne Chocolate Flavour Schnapps in DrinkSupermarket.com, TheDrinkShop, and others. Compare the current price of Teichenne Chocolate Flavour Schnapps in 70cl size in the table of offers below. Simply click on the button to order Teichenne Chocolate Flavour Schnapps online now.